Best Artists List, Maud Vantours.. Best Artists will be a list of best artists in my opinion 🙂 First up, Maud Vantours. I love this artist’s work. She creates layered 3D paper art with brilliant colors and light. Maud Vantours was born in 1985 in France. Designer and artist, she lives and works in Paris. A graduate from the parisian school Duperré, Maud follows a Design training with a specialisation in textiles and materials research. Maud Vantours is a young artist living in Paris. She attended a wonderful school for art and discovered her love for textiles and materials. Specialization is a gift, Maud Vantours is an artist who has found her niche in cut out art. With lush sheets of paper, she creates a “dream-like landscape” with layer after layer. Her 3D graphic worlds are vibrant with colors that become alive and create relationship with one another. Maud is well-educated, well-known and has well-deserved, prestigious awards under her belt. However, her career as a successful artist has just begun, we should expect great things. 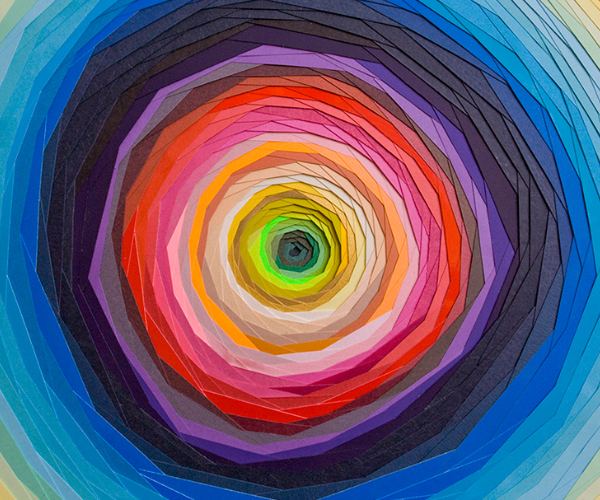 To learn more about cut out, 3D paper artist Maud Vantours, visit Maud Vantours Art & Design. To see more of Maud’s art, visit Maud Vantours Facebook Page. 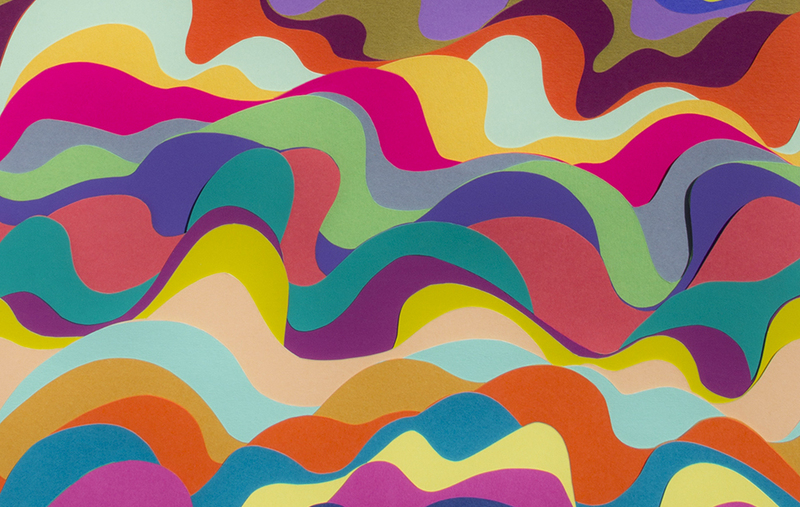 The image to the right is called Ondulation from the 3D Paper series called Oscillation all by artist Maud Vantours. Color, graphics and material have a prominent place in her work. Maud’s art form is a simple 2D pattern. Poetry emerges from her multicolored dreamlike landscapes. The paper has become, over time, her favorite material. She folds her work and accumulates superimposed layer after layer to create designs inspired with volume. Paper material, when sculpted by Maud, becomes a precious object. When not creating her layer art, Maud Vantours designs for luxury brands, her editorials are beautiful. Maud’s works are exhibited in France and abroad, in galleries and at international trade shows.